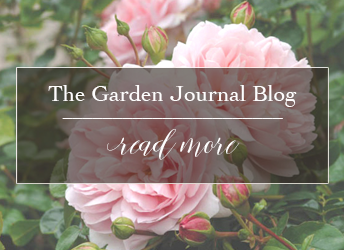 We know many gardeners feel that garden design is a daunting task, so if you too feel that way, you are not alone. Whether you are constructing new garden beds or adding more plants to an existing garden, you don’t have to be a trained landscape architect to create a well-designed garden. When just starting out, or tackling an overgrown or badly planted garden, it can be hard to know where to begin so we've gathered 7 simple tips to help you create a well designed garden. Start by choosing a general style that reflects your personal taste. Whether it is an informal or formal garden, low maintenance or an English cottage garden, think of gardening like decorating but for the outside. Choose a colour palate that not only appeals to your sense of taste but also compliments the architecture and colour of your home. Put more time and thought into patios, walkways and decks, as these elements are a bigger investment and once built are more difficult to change. Upgraded walkways are an easy way to make a property more inviting, increasing your curb appeal, so be sure to build them big enough, and wide enough, the first time. The first planting choices for a new garden should be trees and shrubs as these are the ‘bones’ of your garden, giving structure to the garden throughout the four seasons. Evergreens are an excellent all year round accent plant and should be incorporated into the front entrance garden of every home. Shrubs, with different flowering times for Spring, Summer and Fall create seasonal interest and are also a great investment that will reward you with vibrant reds, oranges and yellows in Autumn. When planting shrubs always read the tags. To best utilize your investment always prioritize the full grown size when choosing shrubs otherwise you will need to remove it in 5 years. Sun and shade is another important element of designing a garden, take the time to record the amount of light that each area receives. Is it morning or afternoon sun and for how long? Full sun plants will not grow in full shade and vice versa. Right plant, right place, is the key to successful gardening. Don’t plant trees too close to your home, hydro lines or other trees as it is heartbreaking having to cut down a mature tree. If you would like your garden to look as if it has been there for a few years, consider investing in a few mature specimens instead of only the small 1 gallon shrubs and trees. Rather than peppering your garden with a myriad of plant specimens, keep it simple by choosing a few focal plants as statement pieces, and then strategically layer with plantings of a few different varieties. Planting in three’s, or odd numbers, is a good rule of thumb (especially with perennials). Take the time to educate yourself in how to keep your shrubs healthy. Researching the correct times to prune, and how to properly prune, as well as fertilizing, are crucial to maintaining beautiful plants. It’s not as complicated as you think......honest! Need some additional assistance? Drop into your local garden center where trained horticultural staff can assist you in choosing the right plants for your garden. Now it’s time to get out and play in the dirt because life is too short to always have clean fingernails! Proudly serving Smiths Falls, Brockville, Kemptville, Manotick, Carleton Place, Perth, Merrickville, Cornwall, Richmond, Stittsville, Kanata & everywhere in between.